Funds from World Land Trust’s (WLT) Buy an Acre appeal have secured 124 acres (50 hectares) of cloud forest in Mexico’s Sierra Gorda. The purchase of land to form La Hierbabuena Reserve was made in partnership with WLT’s conservation partner in Mexico, Grupo Ecológico Sierra Gorda (GESG). “It’s GESG’s first reserve in that area of Sierra Gorda, and it’s very good to have a presence there,” said Roberto Pedraza, Director of GESG’s Land Conservation Programme. “It also means more efficient site protection because one of our rangers can now look after both Las Arenitas and La Hierbabuena Reserve.” WLT helped support the creation of Las Arenitas Reserve in 2007. La Hierbabuena Reserve lies on the eastern edge of Sierra Gorda Biosphere Reserve. 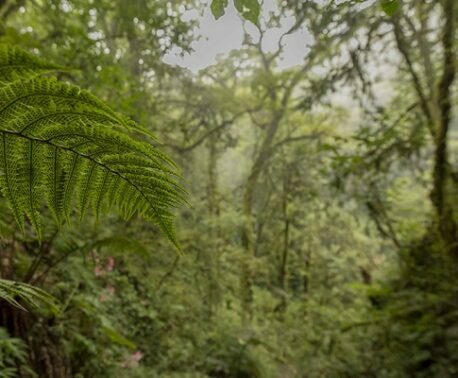 Located at about 1,500 metres above sea level, the reserve protects a remarkable tract of cloud forest, which is disappearing from other parts of Mexico. The reserve lies near the border between the state of Querétaro and the neighbouring state of San Luis Potosi. 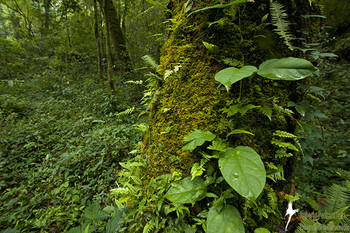 The two states have radically different approaches to forest conservation, and on the upper ridge of La Hierbabuena Reserve there is a dramatic contrast between the forest trees of the reserve, which lies in Querétaro, and the bare hillside of San Luis Potosi, where the forest has been cleared. In La Hierbabuena Reserve, Oaks and White Cedars (Cupressus lusitanica) dominate the canopy and harbour a range of tree ferns. Wild avocado trees are plentiful – Aguacatillo (Persea caerulea) – and provide an important food source for birds and mammals. Trogons (family Trogonidae), for example, feed on the avocado fruit and then disperse avocado seeds far from parent trees. 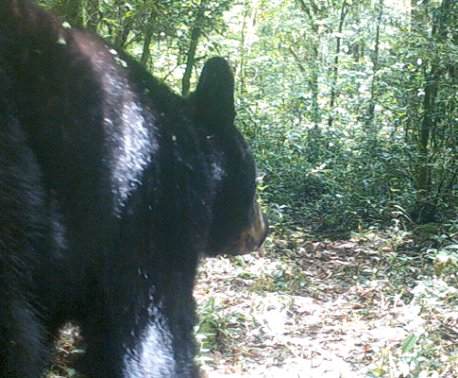 Other inhabitants of the forest include Mexican Tree Porcupine (Coendu mexicanus), Puma (Puma concolor), Paca (Cuniculus paca), Margay (Leopardus wiedii), Ocelot (Felis pardalis), Nine-banded Armadillo (Dasypus novemcinctus), Coatimundis (Nasua narica) and, most important, the Bearded Wood Partridge (Dendrortyx barbatus), an endemic and endangered bird species. You can help Roberto and the team at GESG purchase and protect more land in Sierra Gorda by donating to Buy an Acre.